I don't own many blushes, it's one makeup product I don't get overly excited about but nevertheless, I still like to explore blushes and experiment with them. I picked up this Makeup Revolution Blush Palette in Blush Queen whilst browsing the makeup counters at Superdrug because it was too pretty to not pick up, the colours are so vibrant and eye catching and I need more blushes in my makeup collection so I thought why get one when I can have 8 in one palette! The packaging is plastic but sturdy and I like how you can see the blushes through the transparent lid, I don't think this palette would have caught my eye otherwise! 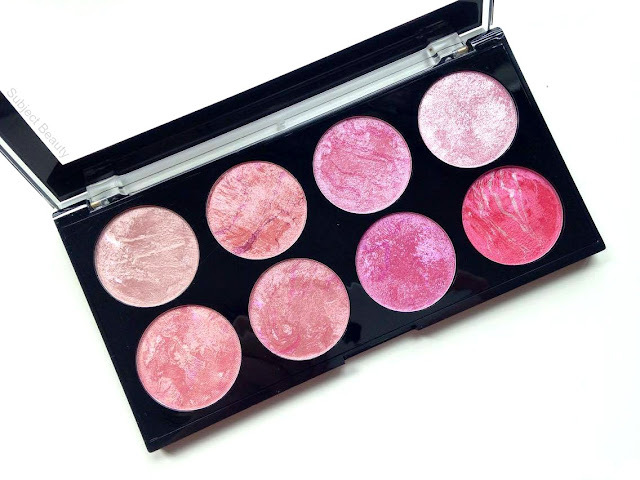 You get 8 shimmer marble baked blushes/highlighters which are all really well pigmented and are perfect for summer. 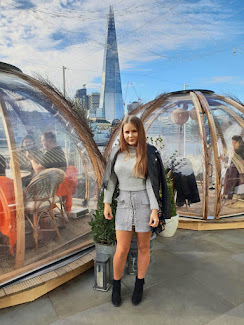 I would normally go for a matte blusher but I feel a shimmer blush is more suited for sunnier months and it gives your skin a nice healthy glow. 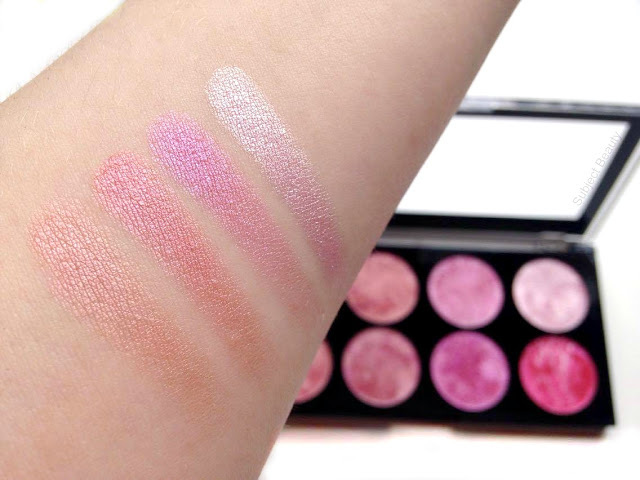 I believe the first row is more highlighters although you could get away with using the lighter ones as blush if you have a fair skin tone, I think I will only be using the lightest shade in the palette as a highlighter. 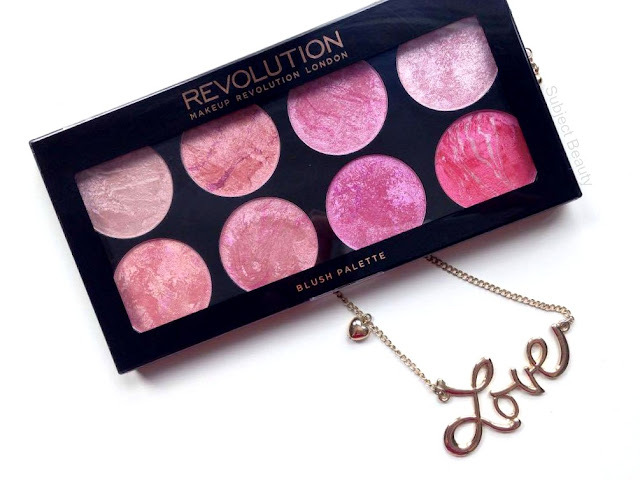 Overall I really love this palette, it's really inexpensive and the blushes and highlighters blend out so well, I think the price I paid for it is well worth it and I can't wait to try out some more Makeup Revolution Palettes in the future! 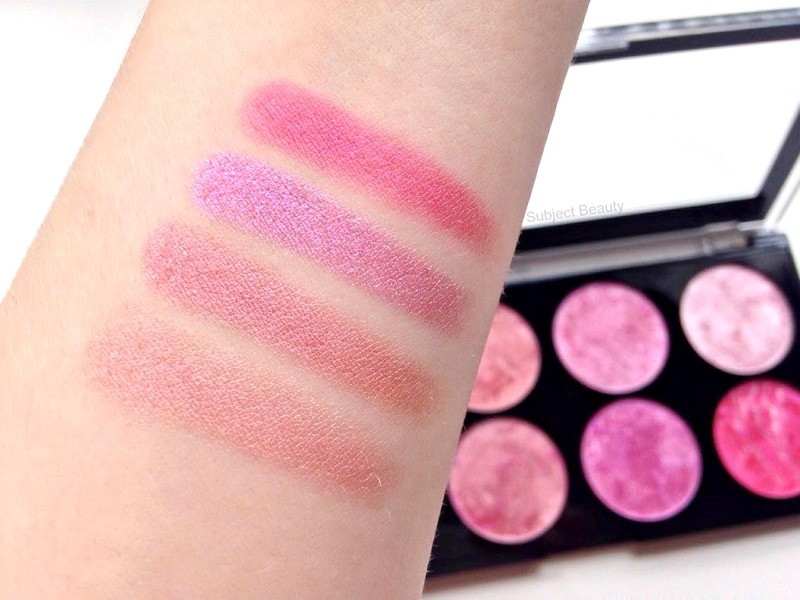 These blushes are so nice!! I love how they have shimmer to them but not too obnoxious!